Christopher Heward, Cliff Williams and Daniel Pope created a website that aims to help people decide who to vote for in the next general election. It visualises the results of past elections and gives unbiased information about the candidates standing for the next election. Which data sources/tools did you use? Our main data source was the BANES website, which contained all the data for the past election results. We also looked at the websites of the candidates for next year’s election. One of the main challenges was collecting the data. Chris spent many hours trawling through the many pages of the council website to collect the data and put it into a spreadsheet, which was then uploaded to the data store. Currently we only have past election data for 2011 in the Bath Constituency. 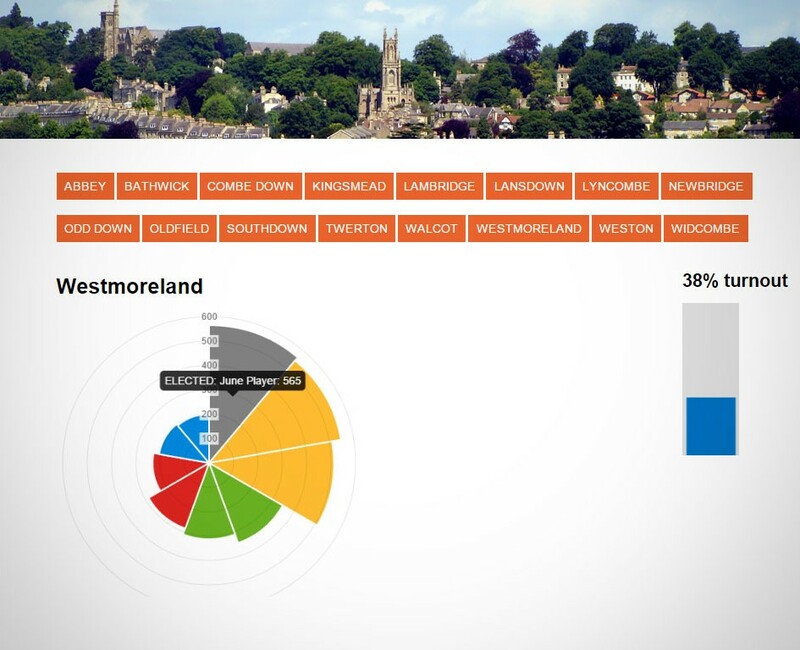 We would like to add data for North East Somerset and for other years to help users discover trends. We were also intrigued with the problem of tactical voting. We’d like to create an opinion poll to collect information on how people would like to vote if they didn’t feel the need to vote tactically. Perhaps this will be able to influence people’s decisions. VoteTub isn’t online right now, but we plan on continuing development of the website. This blog post will be updated and we’ll tweet a lot when we bring it live.